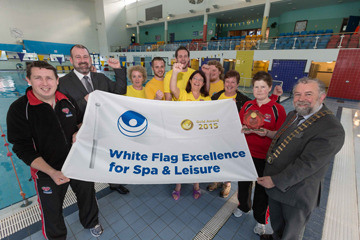 Active Ennis Leisure Complex has this week been presented with its 14th White Flag Award. 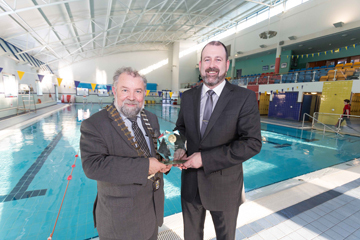 The prestigious awards scheme, which is coordinated by Ireland Active and endorsed by Fáilte Ireland and the Irish Hotels Federation (IHF), is the only comprehensive quality and excellence award for Irish health and leisure facilities including sports halls, fitness studios, health suites, spas, gyms and swimming pools. The White Flag Award was today presented to Tim Forde (Active Ennis General Manager) by Councillor John Crowe (Cathaoirleach of Clare County Council). “Considerable time and effort continue to be invested in ensuring the range of facilities available at the complex meet the highest standards set out by Ireland Active. This quality commitment is something that exists right across the Active Ennis brand,” he added. 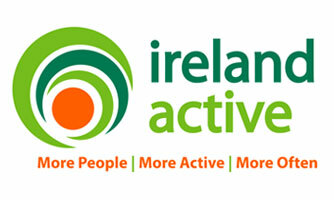 The Active Ennis team is responsible for the operation of Active Ennis Leisure Complex, Active Ennis Sports and Amenity Park (Lees Road), Active Ennis Tim Smythe Park, Active Ennis Pitch (Coote Park), Active Ennis Pitch (Glenina), and Active Ennis All Weather Pitch (Cloughleigh). 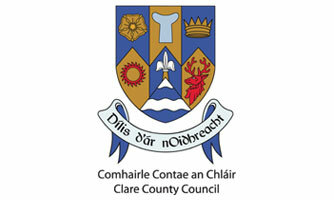 All facilities managed by Active Ennis are owned and developed by Clare County Council. 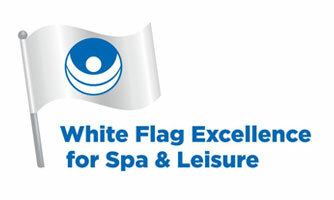 The White Flag Awards are judged by an independent jury made up of experts from a number of nationally recognised organisations including Fáilte Ireland, the HSE, the Irish Hotels Federation, Consumer Association, Swim Ireland and Irish Water Safety. Judging is thorough and rigorous ensuring that fitness, gym instructors and lifeguards are fully qualified, facilities are safe, clean and hygienic; and that equipment is maintained correctly.